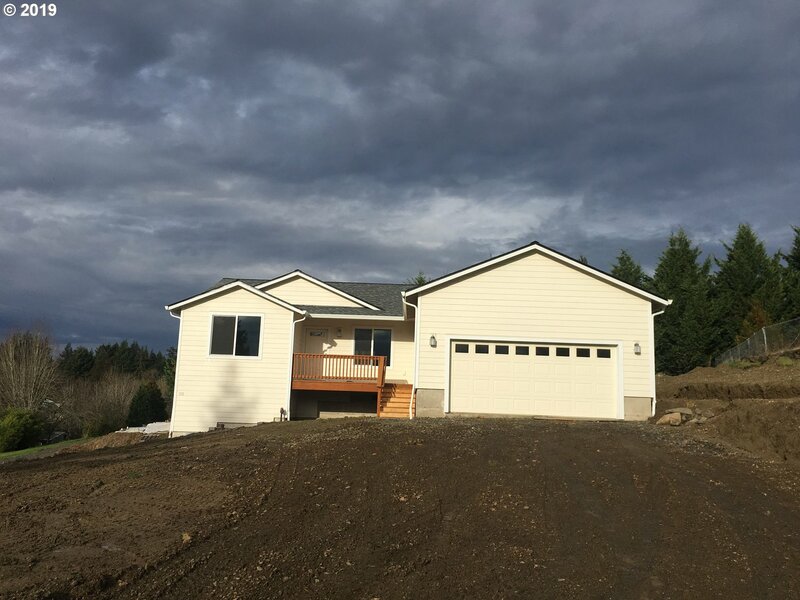 All Kalama homes currently listed for sale in Kalama as of 04/19/2019 are shown below. You can change the search criteria at any time by pressing the 'Change Search' button below. 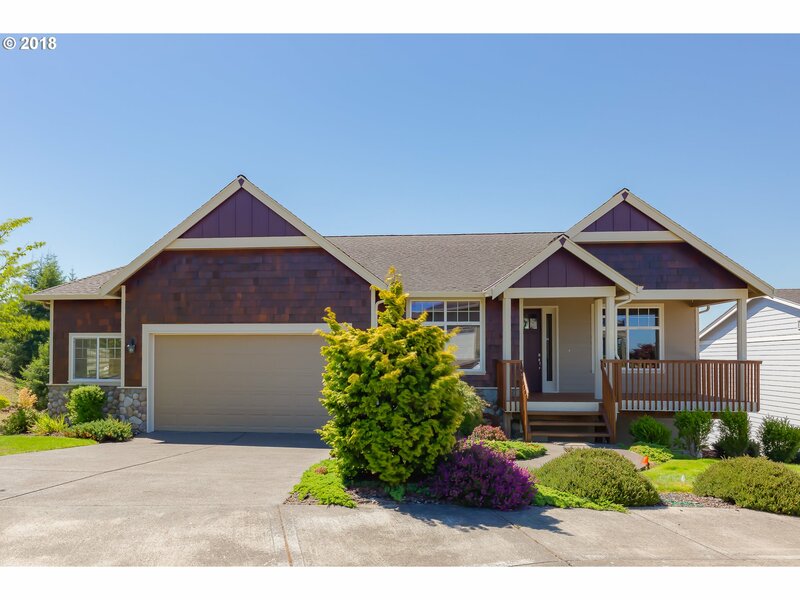 If you have any questions or you would like more information about any Kalama homes for sale or other Kalama real estate, please contact us and one of our knowledgeable Kalama REALTORS® would be pleased to assist you. "Absolutely Gorgeous One of a Kind Custom Built! Huge Gourmet Kitchen! Walk in Pantry! Vaulted beamed ceiling! Coved dining area! Arcadia hand scraped h/wood! Granite/Tile thru out! Dual zone HVAC! Spacious master on main w/garden tub/walk in! Lower level 9ft ceilings! 2nd master! Awesome 180 degree view Col River/Oregon Mts! Excellent Condition!!" 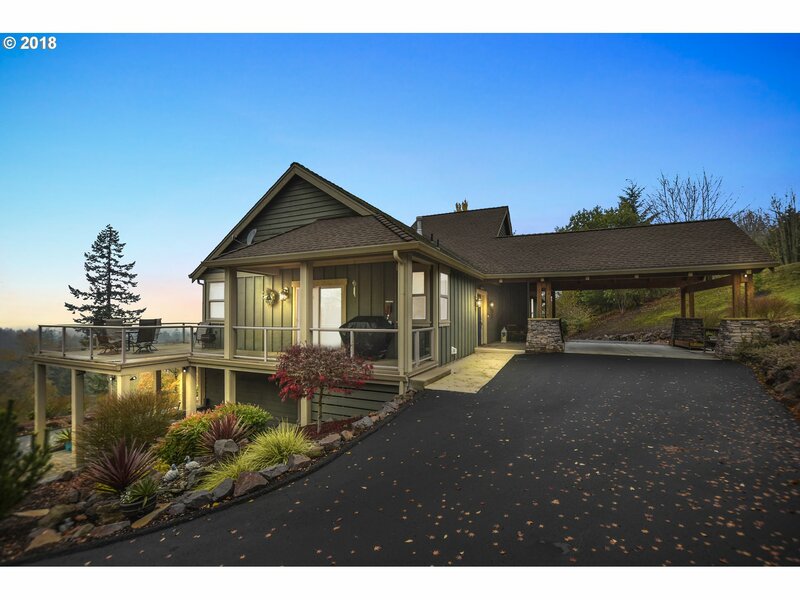 "INCREDIBLE COLUMBIA RIVER VIEWS with this amazing, detailed home. The kitchen has been completely remodeled with quartz, tile and beautiful cabinets. Windows from floor to ceiling wrap around the open floor plan and features high vaulted ceilings. Master bedroom has incredible views, a huge walk-in closet and master bath. Gas fireplaces, built in vacuum, security system and motorized blind included. Parking for 3, multiple storage areas"
"*Open House 4/20 12-2PM* Imagine Waking up to this Panoramic Columbia River View Everyday!. Custom Home Remodeled throughout w/ Gourmet Chefs Kitchen, Slab Granite Island, Lg Pantry, SS Appliances, Radiant Heated Floors throughout, Pellet Stove, Open Floor Plan w/Vaulted ceilings, Possible ADU on Lower Level w/ Wet Bar, Two Expansive Decks, Paver Stamped Patio, Fenced yard w/ Pond, 30x36 Shop, 220amp, w/ full Bathroom, & Full RV hookup." "Check out this amazing home. Pride of ownership loaded with upgrades and an awesome view. 4 + bedroom options on this amazing home. 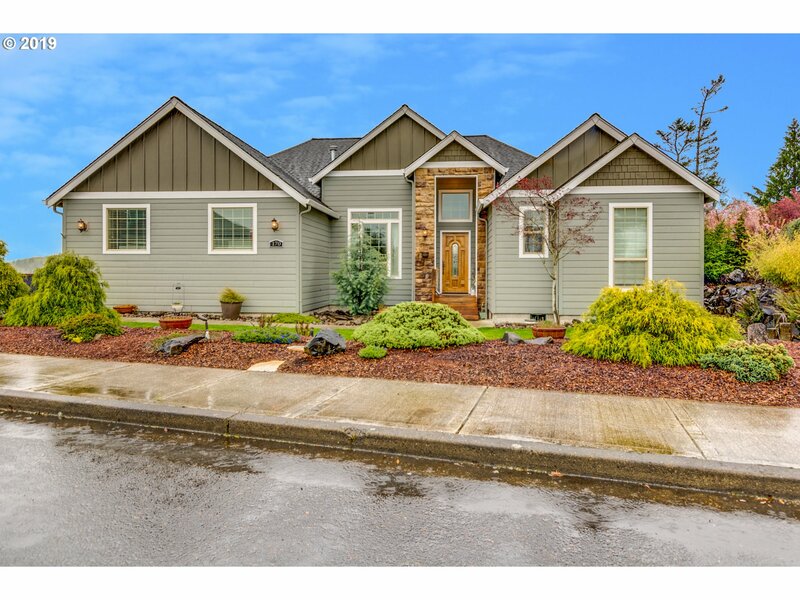 Granite, Tile, Hardwoods, Fireplace, Stainless steel, Master on the main, Built in surround sound, 220 outlet in the garage, 3 min to I-5, Huge deck, bonus room, central vac, pantry, Tool shed, Views, Views, Views, too much to list! This Home is a must see." "Stunning custom-built home. Shop with tons of storage breathtaking river & territorial views all on 1.77 acres in the peaceful Kalama countryside! Bright airy floor plan, formal dining w/built ins, open kitchen w granite tile, hickory cabinets, farm sink and more. Master w/en suite, walk in closet and private balcony. 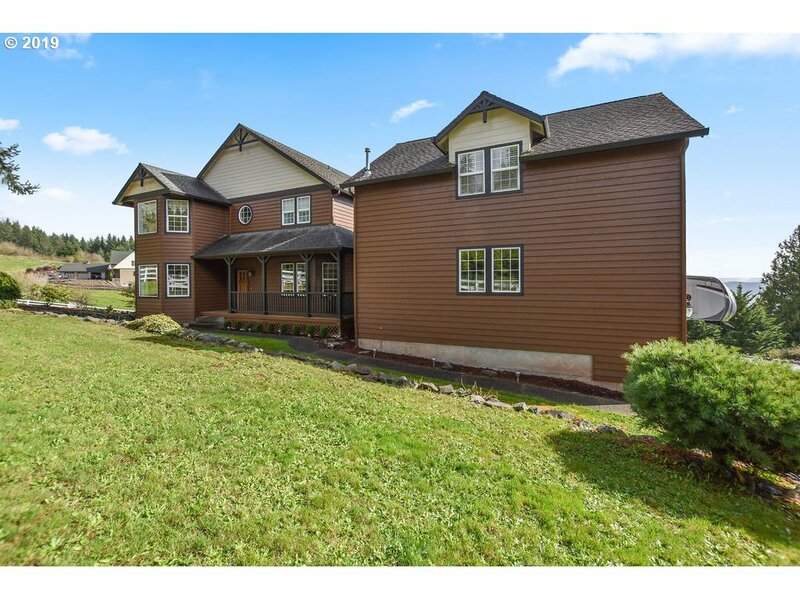 Oversized entertainment room w/ custom bar.Large decks lead out to fenced rolling pastures & paved driveway.30 min 2 PDX"
"Custom Built cedar home along the Kalama River, w/ views of the Falls and nature surrounding from gorgeous windows! 3 bedroom, 3 baths, bamboo floors in main living areas & family room on lower level, Gourmet kitchen w/ stainless/ granite. Great location for fishing expeditions w/ 3 en suites, free standing wood stove, heat pump. Great area for fly fishing & hunting & fishing in general." "Spectacular View Guaranteed not to disappoint you! Views throughout this wonderful home. Watch the ships coming and going and storms rolling in. 2 Master Bedrooms and 2 large regular bedrooms with Jack and Jill bathroom. Large kitchen with double oven and granite tile counters. Great neighborhood. Community park. Easy I-5 access. Come check it out." "Top of the hill, with Panoramic Views of the Columbia River and Portland City Lights. Enjoy the Privacy & Tranquility of this Custom 2441 SqFt.,3 Bed, 2 Bath Home. The Kitchen features a Cooking Island, Stainless Steel Appliances and Dining Area with Bay Window. New Vinyl Windows and New Vinyl Sliders. New Roof w/lifetime guarantee. Excellent Horse Property on 5 Acres with a 24'x36' Barn and a 2 Stall Loafing Shed. Welcome Home!" "STUNNING!! Catch the sunrise over the gorgeous territorial views from almost every room in the house! Great layout with an open concept featuring large picture windows & gas fireplace. The kitchen boasts beautiful wood cabinetry, granite, gas stove top, & stainless steel appliances. Main floor master suite, den/office, separate living & family rooms, & a backyard paradise w/a large deck, concrete patio w/ fire pit, terraced garden beds." "Kalamas desirable River Watch Estates! Vibrant interior colors w/breathtaking views of valley & mountains. Construction w/attention to detail. Wood trim package, all oak flooring, Vaulted living room with gas fireplace is open to large kitchen w/corian counters & island, tile backs & wood hood vent. Covered deck off living area and fruit trees in the fenced back yard. Includes two master suites both w/ Wi tile showers and jacuzzi tubs"
"LA Related to Seller.Beautifully open floor plan w/Vltd Grt Rm & Mstr. LVT flooring T/O w/Carpet in Brms. Kitch w/Quartz Counters & SS appliances & WI Pantry.Bths w/Corian Cntrs. 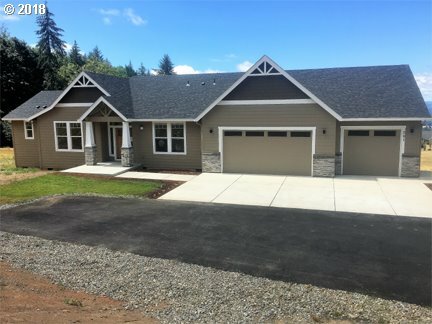 Mstr Suite w/Huge WI Closet,WI Shower/Soak Tub & Dbl Vanity.Oversized Garage of 1037 SF.Nice Cvd Patio.Rm for Shop too!Great Nbrhood.Prvt Paved Rd.Lrm/Dining Furniture Avail for sale"
"Large spacious custom home on 2.8+ acres with majestic Columbia River and Oregon Hills views from almost every room. Open kitchen area with updated stainless appliances, granite counter tops, large cooking island with eating bar. The master bedroom has private deck, Jacuzzi tub, walk in shower & walk in closet. Pride of ownership displayed throughout the home and it shows. Includes adjoining parcel 40585014"
"Open concept, bright dayranch flawlessly remodeled with beautiful new hardwood floors in main living areas, gas fireplace in vaulted great room with beautiful shiplap from built-ins to the ceiling, SS Kitchen-Aid appliances, large soaking tub in master bath on main, quartz kitchen counters with large island and plenty of storage, large covered Trex Deck for entertaining off of both levels with Japanese Soaking Tub and 8 x 12 shed below." "Custom designed built home to take advantage of views. Transitional design with craftsman overtones, soaring vaulted ceilings, stone fireplace, oversized master shower.Open plan with neighborhood of more expensive homes." 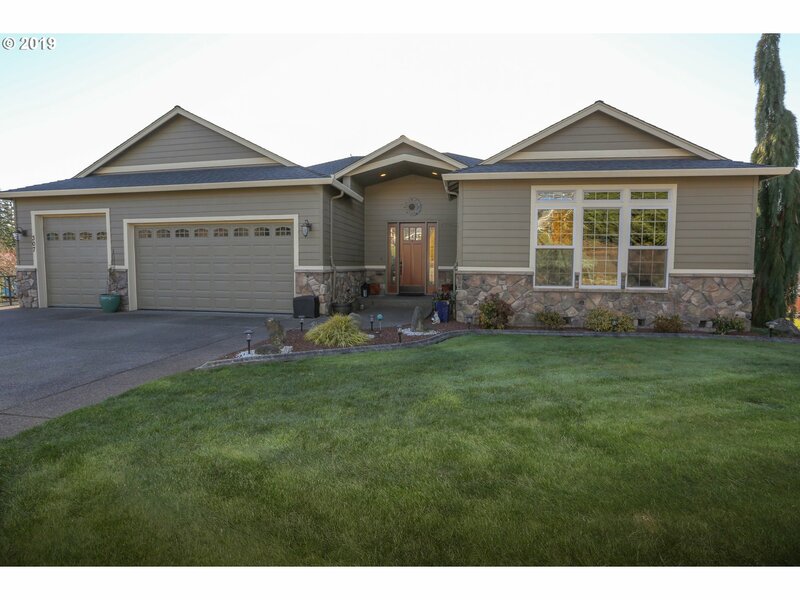 "Panoramic Columbia River views! Brand new luxury home offers front row seat to watch ocean-bound ships & bustling commerce on Kalama's waterfront. Beautiful modern day architecture w/ high ceilings, open beams, and a front door that is sure to impress! Quartz countertops & custom cabinets w/ pull outs, appliance garage, spice racks & more. Master w/ custom tile shower, large closet, & connecting laundry.Covered decks w/ tremendous views"
"Gorgeous 4bdrm/3bth home with Master on the Main! Updated with newer carpet, high-end floors & paint. Lrg Master w/brand new remodeled master bath w/jetted tub, tiled shower & double sinks. Huge Fam Rm upstairs w/2 beds and full Jack & Jill bath. Low maintenance landscaped backyard w/garden area, pergola & fire pit w/river views that's perfect for entertaining. 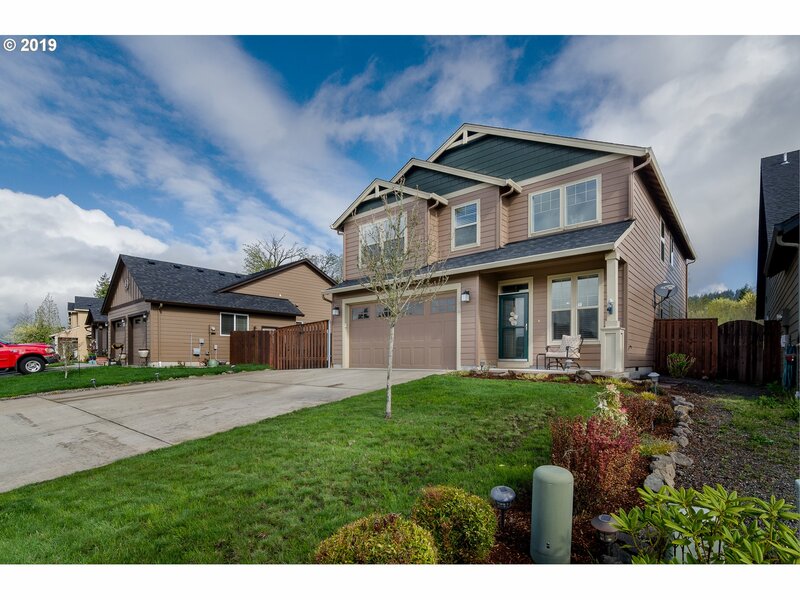 Don't miss this amazing home that's only minutes to McMenamins & Waterfront!" "Beautiful 4bd/2.5bth home in desirable phase 1 of Stone Forest w/ larger lots and greenbelt. Fully fenced, RV parking, huge covered patio w/ radiant heaters, stamped concrete that leads to green space behind the home. All new white Kitchen Aid appliances make this a true entertainers kitchen. 9' ceilings make this home feel as large as it is! Short walk to the onsite playground and a short drive to town & schools. 35 min. to Vancouver." 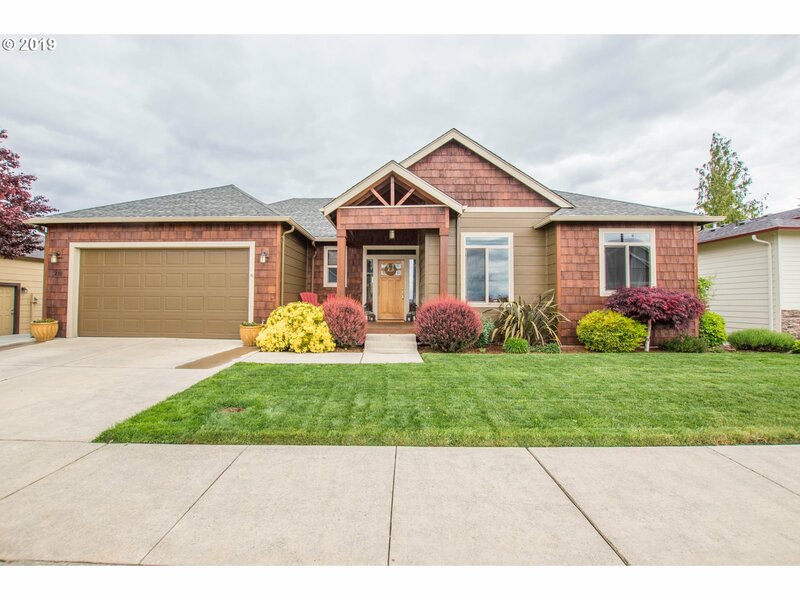 "4 bedroom, den, family room, and 2.5 baths with a view of the Columbia River and passing ships. The house is in great shape with new paint, wall mounted TV, built-in speakers, vaulted ceilings, nice kitchen, master bath with bidet, soaking tub and separate shower, a heat pump, 2 car garage/shop and a very nice neighborhood." "Living on top of the world! Contemporary home with stunning panoramic views from nearly every room of the Columbia River. 4 bedrooms, 3 and a half baths; Gas fireplace, large family room, low maintenance yard. This elite neighborhood boasts homes of much higher value. Bring your dreams and designer touches as home needs some TLC. Lower level would be a great separate living quarters, Low maintenance yard"
"Kalama River has it's own majesty that anyone who has floated on or fished in can attest to. If you have been looking for a home, cabin, or income property this is it. 2 kitchens and living area's provide multiple options for either living or renting. Detached garage/shop extra parking, multiple out buildings, seclusion, 2.68 acres of genuine Pacific Northwest! This home is the rustic cabin that will bring back the missing nostalgia you"
"EASY LIVING! A real show stopper in a quiet neighborhood, this home is a dream come true. At 1658 sqft, 3 beds/2.5 baths and lots of upgrades, this place will have you dying to move in. Built in 2016, this home is freshly equipped with granite countertops, 9 ft ceilings on the main, oak cabinets, laminate flooring, heat pump, large master w/ double sinks and dual head tile shower, large walk in closet, large fenced back yard and more!" "New construction w/ territorial & river views! Great floorplan w/ master bedroom on main floor & 2 additional bedrooms on lower w/ full bath & convenient laundry room. Feels like your in the country but w/ all the City amenity's such as public water & sewer. Exterior offers lap hardi plank siding & paved drive. Interior features laminate flooring & heat pump. Open concept living & kitchen w/ granite counters and custom wood cabinets." "Brand new single level home on 1.1 acre mini farm. 3 bed, 2 bath open concept kitchen/dining/great room. Best layout for the square footage. Home feels much bigger than it is. 50 year roof, cement plank siding, high efficiency blown-in insulation, Milgard Windows, Moen faucets, vaulted ceilings. Large front/back decks, chicken coop and tool shed. Amazing access to I-5, just 20 mins to Legacy Hospital, 5 mins to Woodland & Kalama. Seller"
"YOUR OWN PIECE OF PARADISE! 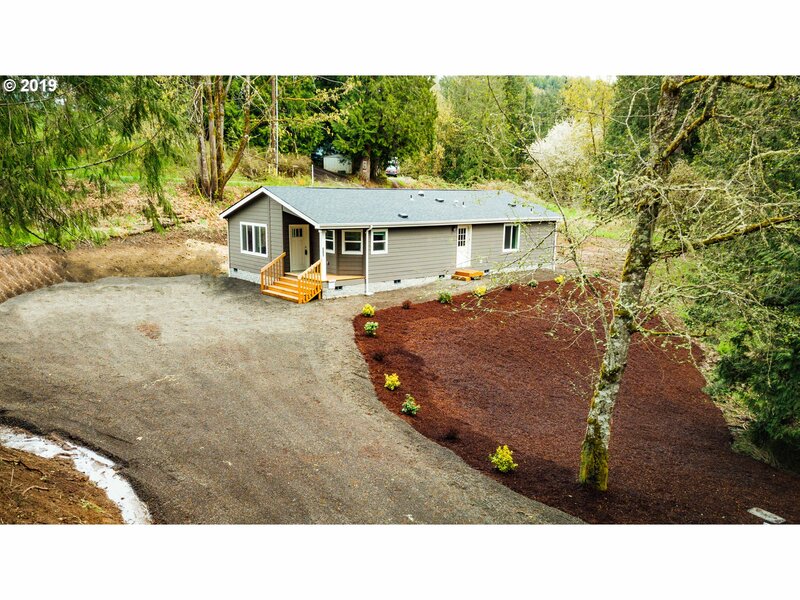 Brand new 1354 sqft 2 bed 2 bath + Den/Office on 1.53 acres less than 5 minutes from I-5! Kick back and enjoy the serene quality of this property with beautiful territorial views from your front porch. Home features quartz countertops, knotty pine bathroom accents, large master bedroom w/ bath off master dbl sinks/soak tub, vaulted ceilings and other stunning features! Room to build a shop! Check it out!"